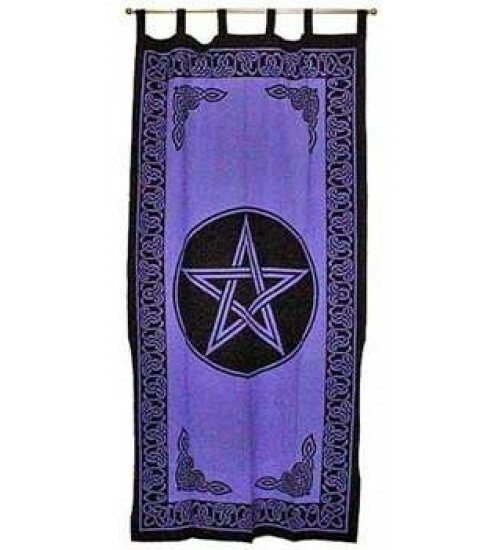 Purple cotton fabric panel with tab top and pentacle design with celtic knotwork border makes a lovely window curtain or altar curtain. 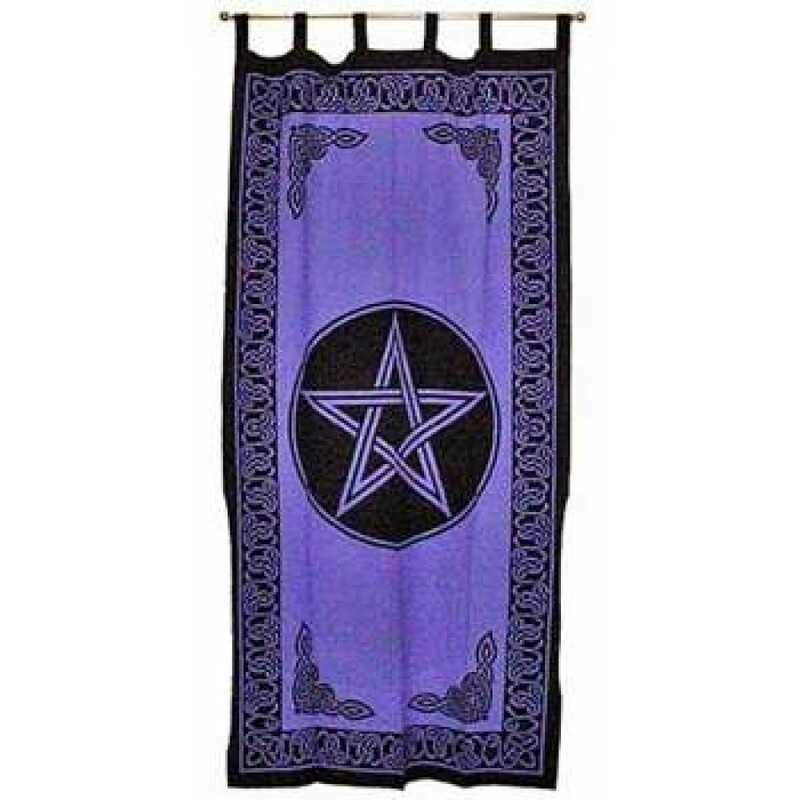 This Curtain may also be hung from your wall as a banner or backdrop behind your Altar. Purple cotton fabric panel with tab top and pentacle design with celtic knotwork border. Measures 44 x 88 inches - Length and colors may vary slightly, because each piece is handmade. Item Number: OI-CT24PL | Approximate Size (Inches): 0.00 wide x 44.00 deep x 88.00 high | Approximate Shipping Weight: 1.00 lbs.